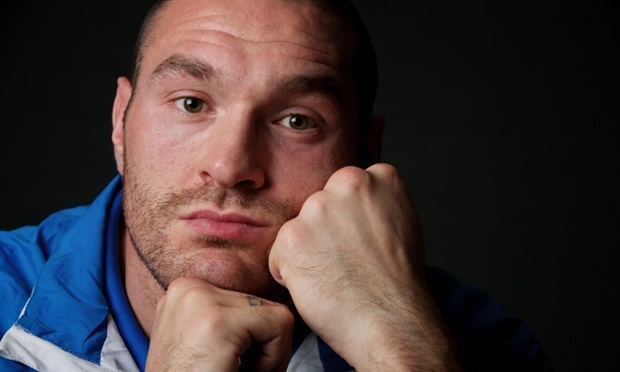 Tyson Fury has relinquished the EBU heavyweight title to concentrate on his World title ambitions. Mandatory challenger Erkan Teper will now face the highest available challenger. As for who that will be the latest EBU ratings offer some interesting names such as Anthony Joshua, Alexander Povetkin, Artur Szpilka, Alexander Ustinov, Denis Boytsov and David Price. Two other “names”, Derek Chisora and Kubrat Pulev both have losses in their last respective fights and need a win to be considered. Michele Di Rocco (39-1-1) makes a voluntary defence of the EBU superlightweight title May 30 in Milan against Frenchman Alexandre Lepelley (17-3-1) on a OPI 2000 Promotion. If all goes well Di Rocco, IBF # 4 , could be facing the winner of Cesar Cuenga vs Ik Yang, who reportedly clash July 18 in Macao for the vacant IBF title. On the undercard May 30 Antonio Mosciatello (18-2-1) defends the Italian welter title against Giacomo Mazzono (11-3-1). Hungarian superbantam Zsolt Bedak, 24-1 and ranked # 3 by the WBO, will face Leo Santa Cruz, 29-0-1 and reigning WBC champ at 122, on the undercard to Pacqiuao vs Mayweather May 2 in Las Vegas. It’s a non title fight scheduled for ten. Bedak was all set to fight this weekend in Hungary but has withdrawn with stable mate (Felix Promotion) Robert Laki (8-0) stepping in to fight Sergio Romero (8-4-3). Always well informed German tabloid Bild Zeitung writes that Arthur Abraham vs Robert Stieglitz IV is on for July 18. As for site it stands according to Bild between Halle / Westfalen, Munich, Stuttgart and Leipzig. Abraham leads 2-1 and this is a mandatory defence of the WBO supermiddleweight title. King Arthur won a close decision last time they fought. Horta as expected too tough for Nimani. Two “profights” on a big MMA event. Ferenczi´s true weight is around here even if she sometimes “weigh in” at 55-56 kg. 8x3, m: Nuhu Lawal, Ger W 8 Kirill Psonko, Lat (sub for Robert Talarek, Pol? Zaveck won the WBFed superwelter title on scores of 115-114, 117-112 and 118-112. Yengoyan had a point deducted in the eleventh for a headbutt. Rodriguez upset as he couldn´t handle his opponent´s southpaw style. 80-72 twice and 79-73. Lebedev retained the WBA regular vs interim champ Kalenga on scores of 115-112, 116-111 and 116-110. Lebedev was down in the fourth while Kalenga was floored in the seventh. Troyanovski won the vacant IBO superlightweight title. Kudryashov won the vacant WBA Int´l title. Piternov floored and later in the round stopped. Liebau won the vacant IBA I/C title with a one-sided stoppage over Olah, who was down twice in third before it was stopped. Ref Steve Smoger declared that Liebau was worldclass but that seems a bit out of line. Lazarides got nowhere with Perkovic, who survived without problems. Blaschke didn´t come out for the fourth due to some kind of eye injury. He had it rough all the way. Everybody likes to look at ms Schmill, who can fight as well but pose way too much and that made it last into the sixth.